It was only about two years ago that Lexie Smith first made art out of bread she'd baked. Invited to a pop-up SoHo show and afforded free rein, she piled sourdough high like a tower. To Smith's surprise, "People didn't look at me like I was totally crazy." 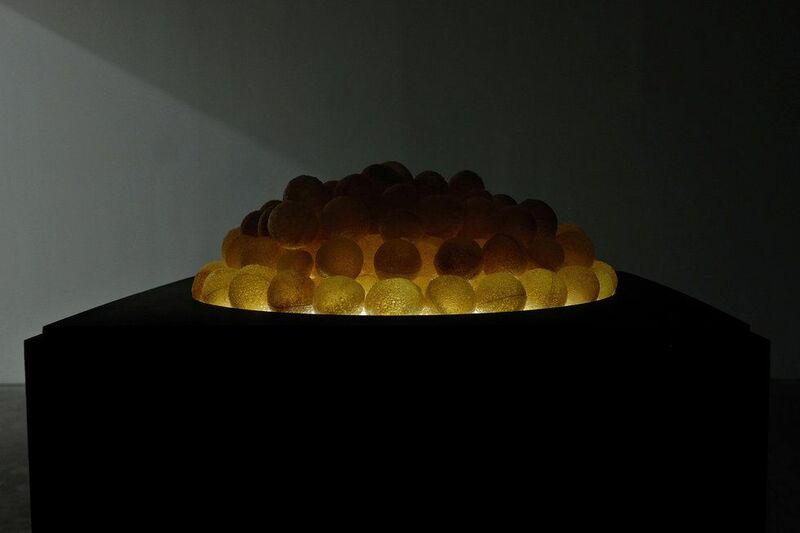 A bread sculpture in a Williamsburg gallery came soon after — then a spate of interest in her work, from which she's amassed more than 35K Instagram followers and garnered coverage in outlets like The New York Times, Dazed, and Vogue. Writers have been quick to classify her an experimental baker, and at one point, that descriptor wasn't altogether wrong. Smith started baking for income in Marfa, Texas, then went on to a pastry chef position in Austin, and ultimately ended up in pastry program stints at several celebrated NYC restaurants. But that phase of her life — working in a restaurant or a bakery — is over now. "I just began to consider [bread] in the way that was what felt natural to me, which wasn't something that was able to be replicated 100 times in a bakery setting," she says. "That wasn't why bread was interesting to me. Working in kitchens wasn't intellectually stimulating in a lot of ways." Immaculate, visually striking plating is an important skill set to have, she notes, but she's not good at it. "It's funny because people are like, 'I'm surprised you don't like the plating aspect of making food because you're an artist,'" she says. "I'm like, yeah, but it's just not my kind of art. My head doesn't work that way." What does make sense for Smith, who studied art history and writing in college, is how bread connects people and cultures, and how it relates to society and politics. "But also from a conceptual standpoint and an aesthetic standpoint," she says. "And to me, bread just inherently captures all of those things without me prodding it in any particular way." Bread on Earth is her ongoing project that fosters discussion; on the website, content sprawls out like winding rabbit holes of knowledge. From a book called Bread and Circuses: Theories of Mass Culture as Social Decay, Smith pinpoints the Roman poet who inspired the title, then delves into the value of bread in Roman culture, then onto a New Yorker piece on grain as a harbinger of civilization. Another book, this one from Parsons students in 1974 on the art of bread-making, is highlighted; there's also an ambient track about five minutes long of kitchen sounds (cooking, eating, drinking) and a post about the Tunisian bread riots of the early '80s. Alongside that effort is an incredibly ambitious end goal: Charting regional bread types globally. Any submission that "even tangentially relates back to bread," she says, is encouraged, and writers and photographers from countries as far-flung as Mexico, Serbia, and South Africa are contributing to a database of bread types that will ultimately manifest as a navigable map online. "I think of it kind of as bread is a river, and there is a delta at the end of the river, and that leads off in hundreds of different directions," she says. "And it just happens to be this thing that we all have a connection to, and it's more compelling than salt or water, you know? People get really emotional about it, and at the same time it allows us to open doors to conversations about gender, and sustainability and politics, and the environment, and colonialism — in every place on the planet." 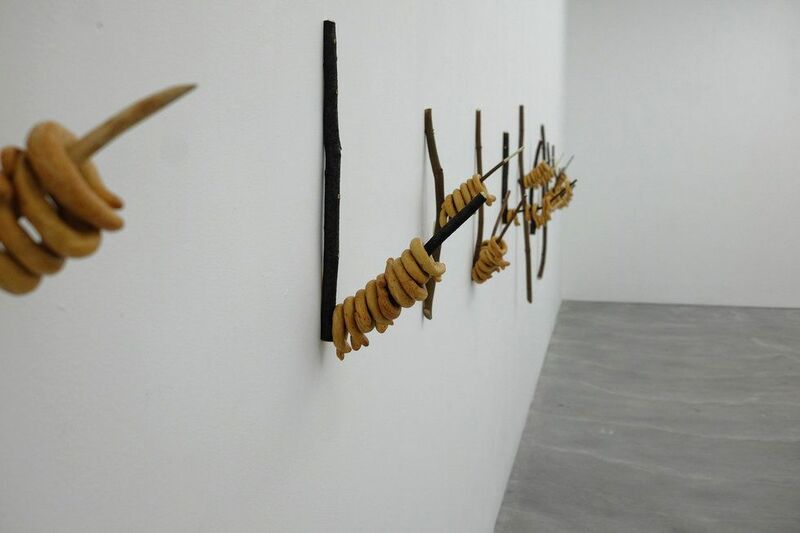 Smith continues creating in a gallery capacity, but maintains the same mission of Bread on Earth in that work, too. A recent installation in Berlin of circular Turkish bread — simit — suspended on branches reflects the sizable presence of that resettled community in Germany. The bread was sourced from a local Turkish-owned bakery; Smith's caption for the post reads, "Branches can't help but feel weighty with symbolism here." To make Bread on Earth possible, Smith works in publishing and archiving, and also develops recipes — but you won't find her in restaurant or bakery kitchen. The professional term doesn't feel appropriate anymore: "I don't even allow people to call me a baker." Outside those settings, of course, Smith is baking. 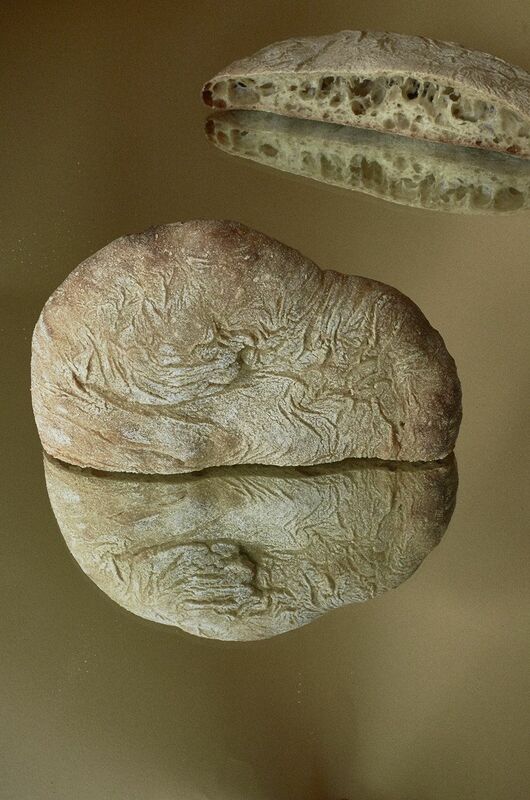 On the Bread on Earth Instagram, there's bread "in utero," knotted up and glistening in the light; twisted sourdough, "lively but also looking sleepy," containing rye and a roasted sweet potato; a close-up of øland wheat bread that looks like caulking glue. There's "ciabatta in space," too, photographed for an editorial in Domino Mag. For Smith, it's important to note that the food isn't just for show. "I never make something a certain way, so that it will photograph nicely but is inedible," she says. "Having worked in the food industry and also in the art world, seeing the way food is utilized and wasted, it can be really sort of depressing — a depressing thing to see." Smith strives to use nourishing ingredients sourced from local, independent farmers, "who are doing what they can to propagate plants that are actually helping to replenish soil and revitalize diversity, which will make land more resilient in the face of climate change." She explains, "It's not enough to be like, 'Well, I did this thing with avocados in New York, and then not acknowledge what it took to get the avocado to New York. So a lot of what comes along with making food that people look at as opposed to eat primarily is about getting people to think about it... to draw attention to a topic and allow for a conversation to form around it." For Smith, bread is a way of looking at the world and all its cultures, and Bread on Earth, what's digitally displayed now, and soon, the perpetually-in-progress map, is how she explains it. Eventually, printed material will be also available. "I think that we live in a world where everybody who's talked to me about this is like, 'Okay, can you give me a date of when it's going to be up?' I'm like, 'Nope.' No, I can't. But I will, hopefully, in the next six months, get up a map that has at least the data that I have so far," she says. "And it'll just be added to for however long people are up for adding to it. That goes for myself as well."